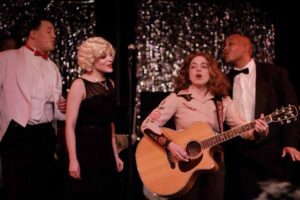 Come take a step back in time at the Bath House Cultural Center — “The Echo Room presents: Her Song” – is a lovely, celebration of Female American Songwriters set in 1935. Annie and several of her colleagues originally wrote this show in 2012, and in 2013 it won The Dallas Column’s Award for best new local playwright.. This will be the fifth and final year of this very loved production.. Show runs February 8 through February 24.